We want to make your life easier by helping you in light domestic chores, including house cleaning, ironing, shopping, changing your bed sheets and preparing your meal. While doing so we can keep you in company as well. Our passion is to provide you with the service that meets your own requirements and we can ensure that a committed care worker will always help you in every step of service. Careaid provides care to the people living with Dementia. At Careaid we understand that it is very important to have good knowledge and experience to assist someone with Dementia. Our highly trained Carer have depth knowledge of different types and stages of this conditions, therefore they can provide appropriate care for the people and their family in daily basis to cope with this challenge. Respite (temporary) care provides temporary relief for those who are caring for their family members. It is good as it helps to sustain the caregiver’s health and well being. Respite care helps families to get much needed break they deserve. It can be on a regular replacement or overnight care so that you can catch-up with your regular activities or night sleep. Respite care is best for everyone; as the person needing care stays in familiar environment and maintains their usual routine, and the caregiver can relax, knowing their loved ones is in professional hand. Reablement service provides care to someone who has just been released from hospital or entering in care system following a crisis. This service can help someone by offering personal care, help with daily activities and also other personal duties. Generally this service can lasts up to six weeks, as its main goal is to motivate service users to build their confidence and skills to do these tasks by themselves. » What you want to achieve or able to do in the future? » What goals you need to work on, for example getting in and out of the bath, walking to the shops, or going to the toilet etc. Our Palliative care service provides support to those individuals who suffer from a life-threatening disease or bereavement and desire to live in their own homes. The main purpose of this care is to make that service users are in as comfortable as possible by controlling pain and other distressing symptoms. Our social companionship care is suitable for someone with mild to moderate care needs; who wants someone to be there with them to offer supports when needed. This helps you to remain in your own home with the comfort and secure; besides you can have someone to be there to share your thoughts or even to do something that you enjoy. There are times when you or your family may need support within couple of hours of notice and our health care assistants can provide you with rapid assessment service and care. We want to help you to stay at home safely and offer you with the support you need; rather than going to the hospital. » An infection, such as a chest infection and may need intravenous antibiotics (given directly into the bloodstream). » Had a fall and may not be able to manage at home. » Had a fracture and need care at home. » An existing medical condition that has become worse. 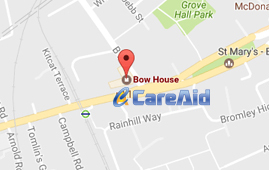 » Someone has been seen by their GP and need treatment, but this care can be provided in their own home. With our sleep-in care service, our Health Care Assistants are on call throughout the night and awake; also they make sure that the service users are sleeping or resting in safe and sound. Service users can get any help they need during the night. A bed will need to be provided for the Health Care Assistant and he/she will be there to support, if and when required. Our shifts depend on your requirements, it usually from 9pm or 11pm till 9 am or 11 am. The duration of the live-in care service may vary, as it can be for short term or long term. This occurs when the service user needs someone to live with them in their own house. Whether you just need some companionship or you have some specific health issues that means you require extra support, live-in care provides a realistic and affordable alternative to moving into a care home, including; full time live-in care, 24 Hour Care and Home Care Services. However these are not exhaustive list. We can also provide other services as per your requirement. Careaid aims to deliver excellent domiciliary care service, to help and improve the quality of life for the individuals who need care. We offer a wide range of homecare services to suit your personal needs; our services can vary from day to day help around the home to complex conditions, such as dementia or end of life support.